This study reports a significant decrease in age-adjusted incidence rates of hip fracture for women in Oslo, Norway, even compared with data from 1978/1979. Use of bisphosphonate may explain up to one third of the decline in the incidence. The aims of the present study were to report the current incidence of hip fractures in Oslo and to estimate the influence of bisphosphonates on the current incidence. Using the electronic diagnosis registers and lists from the operating theaters of the hospitals of Oslo, all patients with ICD-10 codes S72.0 and S72.1 (hip fracture) in 2007 were identified. Medical records of all identified patients were reviewed to verify the diagnosis. Age- and gender-specific annual incidence rates were calculated using the population of Oslo on January 1, 2007 as the population at risk. Data on the use of bisphosphonates were obtained from official registers. 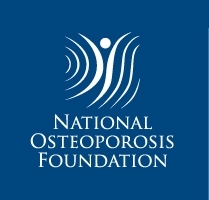 A total number of 1,005 hip fractures, 712 (71%) in women, were included. The age-adjusted fracture rates per 10,000 for the age group >50 years were 82.0 for women and 39.1 for men in 2007, compared with 110.8 and 41.4 in 1996/1997, 116.5 and 42.9 in 1988/1989, and 97.5 and 34.5 in 1978/1979, respectively. 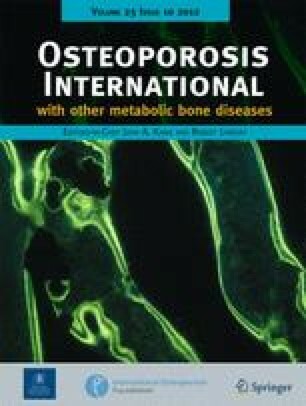 It was estimated that the use of bisphosphonates may explain up to 13% of the decline in incidence in women aged 60–69 years and up to 34% in women aged 70–79 years. The incidence of hip fractures in women in Oslo has decreased significantly during the last decade and is now at a lower level than in 1978/1979. This reduction was not evident in men. The incidence of hip fractures in Oslo is, however, still the highest in the world. The authors thank the four somatic emergency hospitals serving the population of Oslo for help and assistance during the data collection. The project was funded by the South-Eastern Norway Regional Health Authority. Wholesale based drug statistics; available at www.legemiddelforbruk.no. 2010-08-10. Norwegian Prescription Database; available at www.norpd.no. 2010-08-10.